Hi, there – it's Laine, from Team Smiley! Last week was full of fun events, including the St. Alexis Parish Festival! It was a BIG fair full of lots smiling faces and new friends. 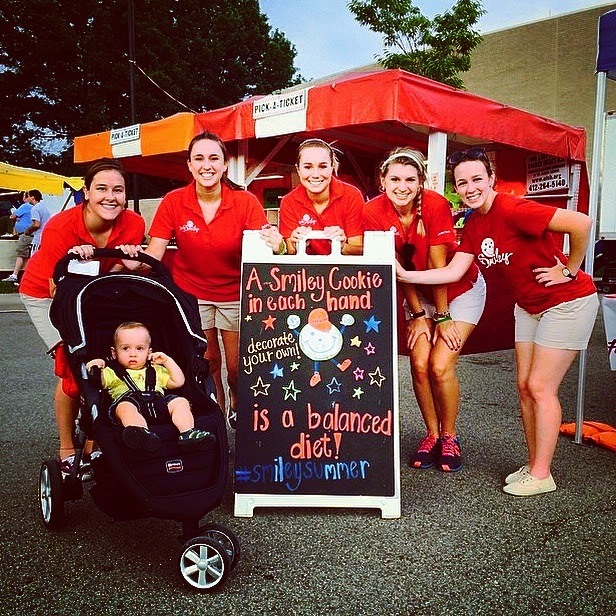 This beautiful summer night allowed for a fun festival atmosphere, with all the funnel cake Smiley could imagine, fun carnival rides and games, and plenty of Smiley Cookies to share. Plus, we saw some of the best cookie decorating skills to date. Sad you missed out? This summer is not over yet! See where we'll be next at http://www.eatnpark.com/smiley. Don't forget to check out our Instagram and Twitter @ENPTeamSmiley. And don't forget to keep smilin'! Parma Sausage is one of Eat'n Park's FarmSource partners, providing us with locally-sourced artisan sausage. Click here to read all about our partnership with this family-owned business. Because Parma's products are available to the public, you can enjoy the fruits of their labor in your home, as well as at Eat'n Park. One of my favorites is this Italian Grinder, perfect for tailgates! Prepare vinaigrette (recipe below) and set aside. To roast the red peppers, first wash and dry them. Turn one burner on the stove and place pepper in the center. Continue to char the pepper until they are 80% blackened. Place charred pepper inside of a paper bag. Let set for 10 minutes. Remove the charred skin and seeds and slice into ½" strips. 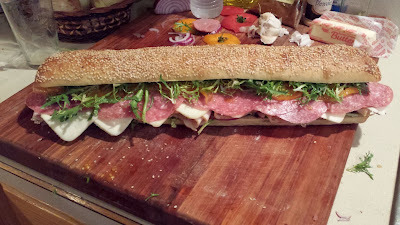 Slice ciabatta bread in half long ways. Spread Dijon on the bottom half of the bread then layer with sliced onion, Capicollo, Provolone, Salami, Mortedella, Provolone and red peppers. On the other half of bread, spread Dijon mustard then tomatoes and lettuce. Drizzle vinaigrette over the lettuce and place on top of the bottom of the sandwich. If you're going to toast the sandwich in the oven, don't put the top with the lettuce and tomato on until after. To toast sandwich, turn on broiler and broil for 5 minutes or until cheese is melted. Slice sandwich into 6 or 8 slices. In a small bowl add the first 4 ingredients and whisk together with a wire whip. While stirring slowly add olive oil and whisk until oil has combined with the other ingredients. 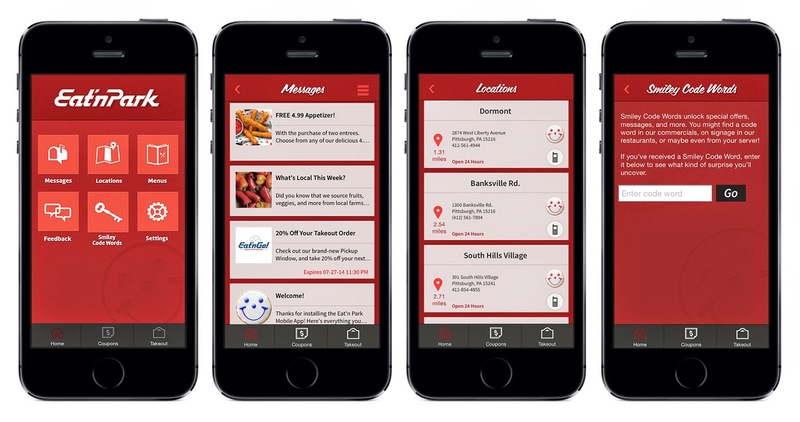 Calling all smartphone users - we're now accepting mobile coupons via our new app! Woo-hoo! Hi everyone – Team Smiley here! 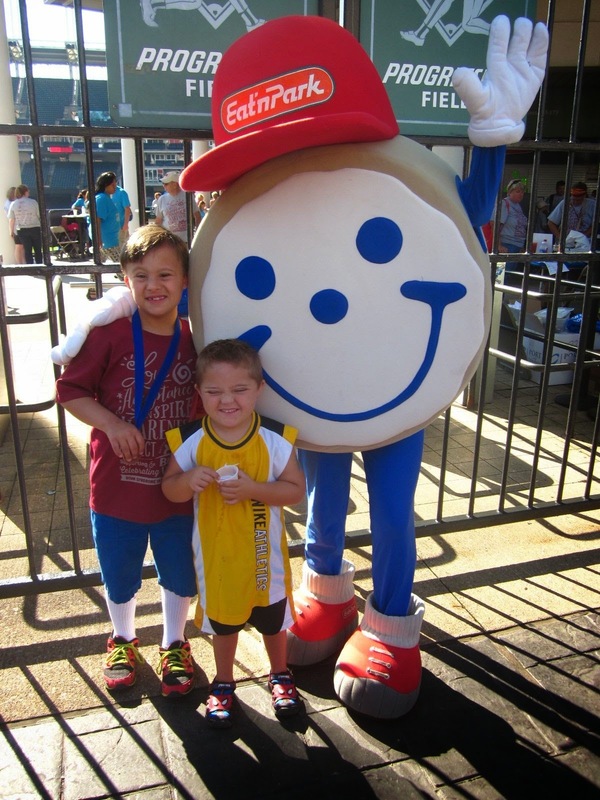 Last weekend we had a blast at the Northeast Ohio Buddy Walk at Progressive Field, raising awareness for Downs Syndrome. Thousands of people came out for the event and Smiley loved supporting all of the walkers. Smiley Cookies and cookie decorating were a huge hit! 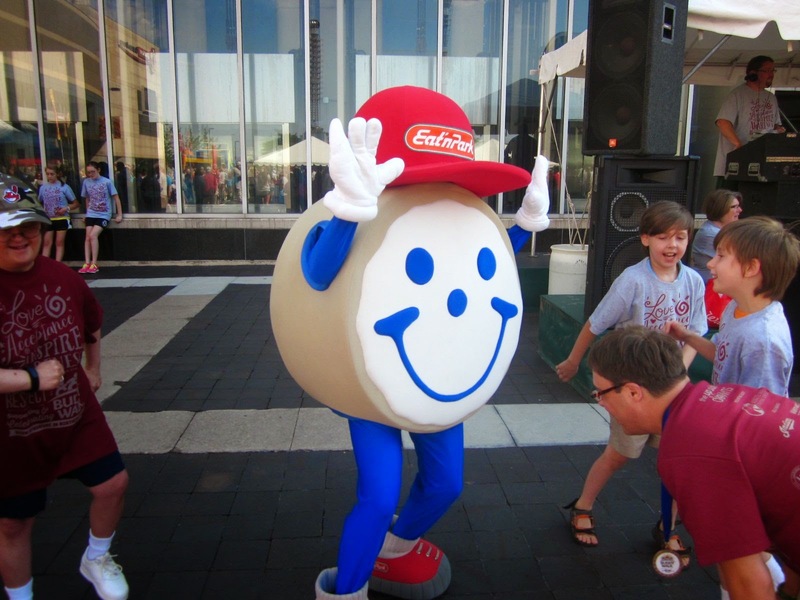 All of the participants were so excited to see Smiley, and he even busted out a few dance moves with some new friends. Smiley and the team had never been to this baseball stadium, so they made sure to document their visit in the Cleveland Indians photo booth. We had a great time seeing a little piece of Cleveland while we shared lots of smiles. 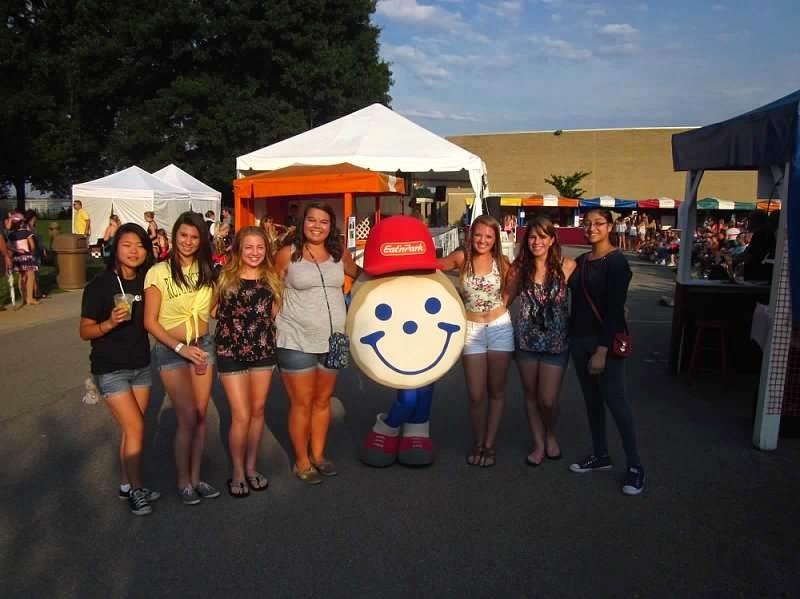 Although our #SmileySummer is coming to a close, we still have a few fun events left to share. Follow @EnPTeamSmiley on Instagram and Twitter to learn more about our journey and to get updates on our awesome #SmileySelfie contest.